He graduated from Ankara Academy of Economics and Commercial Sciences in 1974. In the same year, he became an Assistant of Account Specialist in the Ministry of Finance, Account Specialist in 1977 and he received the Chief Auditor title in 1981. He participated in long term research and programs in Brussels, Washington (“Public Finance” programme of IMF) and Paris (VAT). In 1986, he was appointed as the Head of Department of General Manager of Revenues and in 1990 he was appointed as the Assistant General Manager. By decisions of 5 April 1994, he was appointed as Deputy Undersecretary of Treasury and Foreign Trade. He served as the deputy undersecretary of both Undersecretariat, additionally, he served as the Undersecretary of Treasury for 6 months by proxy. In 1997, he became General Manager of Revenues in the Ministry of Finance. In 1999, he was appointed as the Undersecretary of the Ministry of Tourism and in 2000 as the Undersecretary of Customs to the Prime Ministry. He retired voluntarily in the second half of 2004 and transferred at Gazi University as a professor. He was elected “the bureaucrat of the year” 5 times. He has 12 books, individually and jointly. 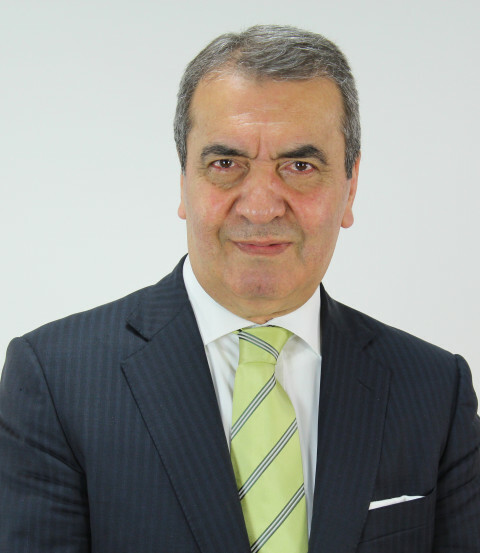 Additionally, he received a doctorate from Gazi University in 1986, an associate professor from Ankara University in 1989 and in 2015, he transferred to Atılım University. For over 35 years, he has lectured associate, bachelor, master and doctorate subjects at various universities. He has also undertaken part-time tasks in the private sector. He has been writing for 20 years in various newspapers. He is currently writing his weekly articles in the “Dünya” newspaper. He is fluent in French and intermediate in English and married with one child.